Princeton Medical Group (Plainsboro Township) - Book Appointment Online! 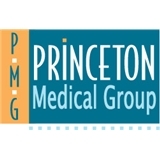 Since our beginning more than 65 years ago as a small group practice of three physicians, Princeton Medical Group (PMG) has been dedicated to medical excellence delivered with compassion. Today that credo remains the focal point of everything we do, as the largest multispecialty practice in the Mercer and Middlesex County region, with 27 Board Certified physicians providing services in primary care, internal medicine, cardiology, dermatology, gastroenterology, nephrology, OB/GYN, oncology, hematology, pulmonology, and rheumatology. PMG offers the convenience, quality, and confidence of a single, reputable provider you can trust for a lifetime of comprehensive, easily accessible healthcare services, with an extraordinary range of clinical options from primary care to specialty medicine. But the word “extraordinary” goes beyond describing our clinical strengths. It also describes the quality of the experience we’re committed to delivering in every aspect of your relationship with PMG. Dr. Hua is very through and polite. I’m very pleased with my selection of a primary care physician. Dr. Tridico was the perfect combination of nice and professional. He answered all of my questions and the wait was less than 7 minutes, even with the office full of people! The nurses are super friendly and will make you feel comfortable. I recommend him to anyone. This practice sees patients at 5 locations.